Open to all Houses who wish to earn those extra points for their team. 1.Download the Kony 2012 door hanger attachment below. Print out one of the door hangers in color, cut it out, and stick it on a doorknob of your choice (a friend's door, classroom, etc.). Take a picture of it to show Mr. Hendricks. 2. Download the Kony 2012 poster attachment below. Print out one of the posters in color and stick it on a classroom or bedroom wall. Take a picture of it to show Mr. Hendricks. 3. Download the Kony 2012 stencil attachment below. Print out the stencil and use it to make your poster or T-shirt that creates more awareness for the Kony campaign. Show the poster or wear the T-shirt to show the world (and Mr. Hendricks) that you have successfully completed your 1,000 House point challenge! Watch the videos below and click on the link http://www.kony2012.com/ for more information. _Put together a care package for Mr. Nelson Mandela himself. In the package should be items such as our school magazine, a copy of our documentaries on CD, photos of Elemiddle, and any other creative and fun items you think Mr. Mandela would like to receive in the mail. You package must include an official letter and should be at least a page long, typed, and include everyone's signatures from your House. Introduce yourself, explain the concept of our school, and the House system. Explain also why Mandela was nominated to be our House founder this year in the history department. 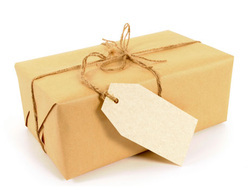 You will also need to research the address of where to send a package to Mr. Mandela. The first House to complete this challenge will earn themselves 1,000 House points! Watch the trailer for Invictus, a movie that tell the epic story of how Nelson Mandela (Morgan Freeman) joined forces with the captain of South Africa's rugby team, Francois Pienaar (Matt Damon), to help unite South Africa in the 1990s. Mr. Hendricks has a copy of the movie, so you may "rent" it from him for three days. After you have watched the film, answer the questions below in complete sentences. Print or email your answers, submit to Mr. Hendricks, and you may earn yourself 1,000 House Points. 1. In what year does the movie start? 2. The movie shows the transition years for South Africa coming out of the apartheid era. What does apartheid mean? What language does it come from? When was apartheid in effect in South Africa? 3. Demonstrations and protests were used to disrupt rugby games during the apartheid era. 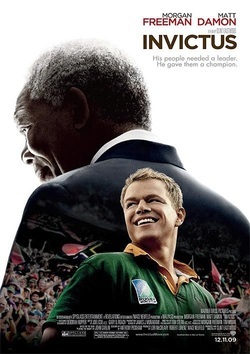 The irony to this movie is that Nelson Mandela used rugby to unite the nation. How did he do this? 4. What is a springbok? What does it mean in Afrikaans? What was the controversy in the movie on the Springbok Rugby Team and Nelson Mandela? 5. Who wrote the poem "Invictus" that was featured in the movie? What does the word invictus mean? Why is it symbolic to Nelson Mandela, and in turn, the rugby captain Francois Pienaar (Matt Damon)? Watch the video of "Right Here, Right Now" by Jesus Jones. Complete the gaps to the song and answer the questions on the right. Email or submit your answers to Mr. Hendricks. Correct and fully completed entries may receive 1,000 House Points. Who is "Bob Dylan"? do a websearch on him to find out who he is and why he has a connection to thses lyrics. How long is a decade? What decade is Jesus Jones referring to? What does "blink of an eye" mean? How does this expression connect to the song? What does Jesus Jones mean by "there's your sign of the times"? What do you think Jesus Jones means with the lyrics, "I was alive and I waited"? What was he waiting for? What images or people do you recognize from the news footage featured in the music video? Why do you think the video features Jesus Jones sitting on his sofa with news footage screening over his face and all over his living room wall?